Crown your collar. The OVO collar showcases an onyx or carnelian gemstone sculpturally set in a silver or onyx wavelike bezel. 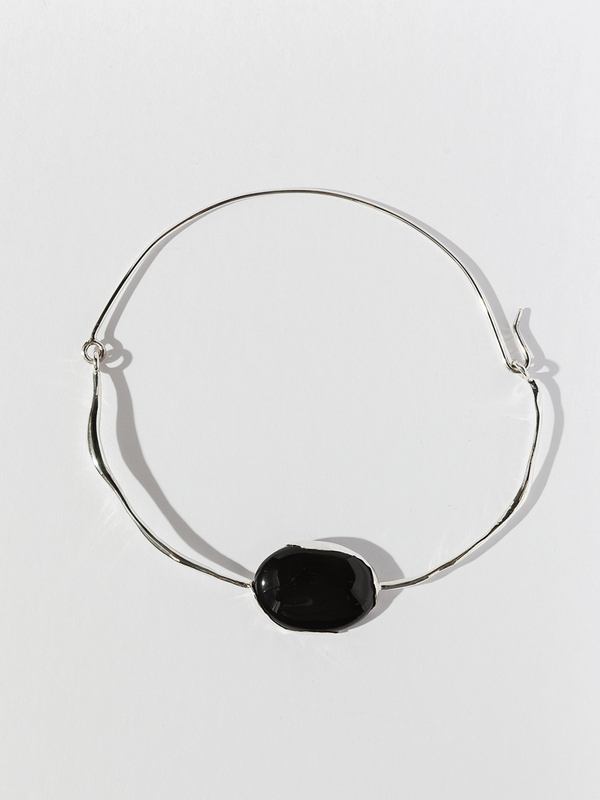 Measures approximately 16 1/2″ around with 30 x 40mm gemstone. Available in Bronze / Carnelian and Sterling Silver / Onyx.